No one wants someone to be injured on his or her property, but sometimes accidents happen. The law in Kentucky is ever-evolving in the area of premises liability. The Kentucky Courts have clarified that the owner/operator of a business premises has a duty to exercise reasonable care to maintain the premises in a reasonably safe condition. The attorneys at SBM have a long history of successfully defending the owners/operators of property in litigation involving injuries. When an employee, guest or patron is injured due criminal acts of another person, the property owner still has potential defenses. The attorneys of Schiller Barnes Maloney have successfully defended our clients in the trial courts and the appellate courts for claims arising from criminal acts. 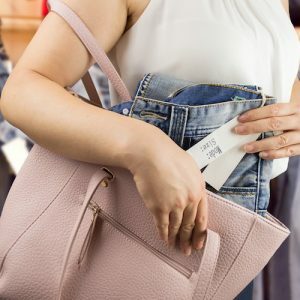 When a customer is behaving in a suspicious manner, store loss prevention and management have to make a quick decision as to whether to stop the customer suspected of shoplifting. At times, these stops result in litigation encompassing claims of discrimination, battery and false imprisonment. The attorneys at Schiller Barnes Maloney have not only successfully defended large and small stores in such claims, but have the knowledge and experience to advise our clients on ways to attempt to alleviate such claims from arising at all. Slip and falls and trip and falls are the most common types of premises liability claims brought against landowners and business owners in Kentucky. From someone tripping over cables at a big box retailer to another person slipping on a grape in a small mom and pop grocery store, such incidents have the potential to create exposure for premises owners and operators. If a person slips or trips on your premises, there’s a chance a lawsuit will be filed. Damages sought may include past and future medical expenses, lost wages, pain and suffering and impairment of earning capacity. At SBM, our attorneys review premises liability claims from various perspectives. Our clients’ needs and objectives are pursued through a customized, cost-effective plan designed to achieve their goals. Further, we have the knowledge and experience to advise clients on potential premises liability issues and merchant liability claims in order to help them manage their risks and protect their interests in subsequent litigation. SBM attorneys are seasoned veterans regarding dram shop claims. We aggressively investigate such claims immediately upon notice to identify relevant witnesses and obtain and preserve documentary, photographic and video evidence, if possible. We communicate with you every step of the way, not only to keep you apprised of what has been discovered, but also to advise you how similar incidents can be prevented through employee training and/or implementation of appropriate policies and procedures.